The Elms Farm comprised a main house and residential annexe formed from the conversion of disused stable buildings in the 1980’s, which were formerly part of the Grosvenor Estate. The brief was to provide a replacement family home to a style that would reflect that of its setting with reference to the predominant ‘John Douglas’ style of the area. 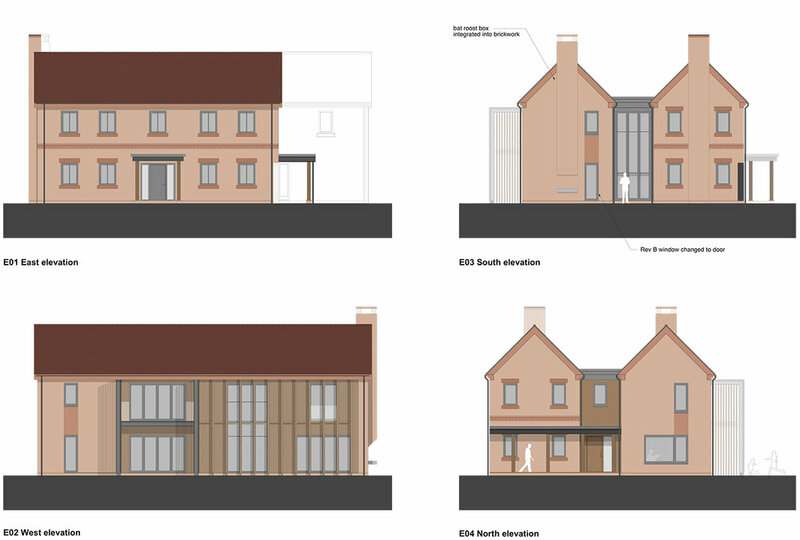 By incorporating the existing brick barn on site, a traditional frontage and detached garage form a courtyard entrance to the property. A more contemporary rear elevation provides large areas of glazing and doors with direct access from living accommodation to garden and maximises views across the Cheshire Countryside. The project is currently on site, and is due for completion in Summer 2019.